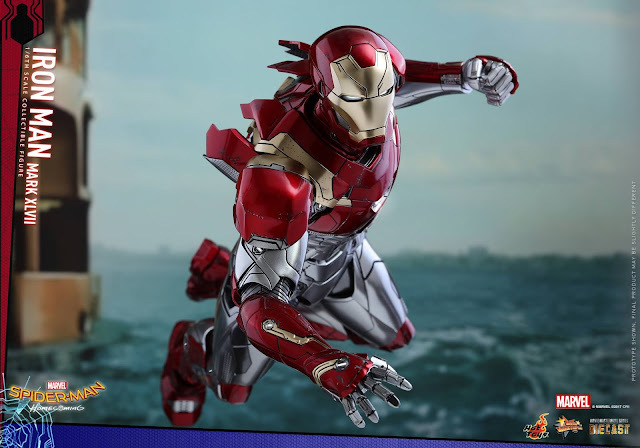 Hot toys has revealed yet another Iron Man, but this time for good cause. Today the upscale toy boutique gave us our first look at their 1/6 scale figure based on the Mark VLVII Iron Man armor featured in this summer's Spider-Man Homecoming. 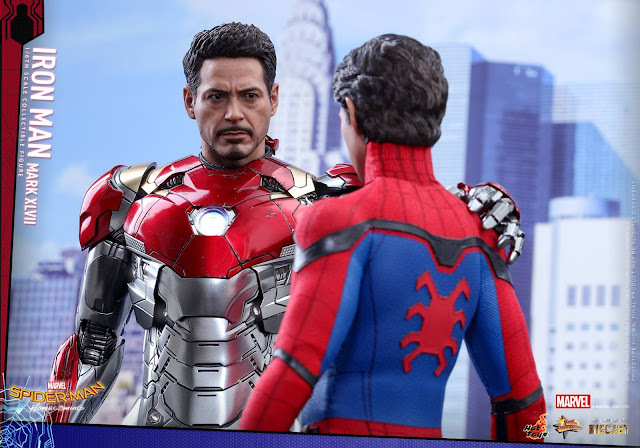 By this point the Hot Toys team could sculpt Robert Downey Jr.'s face in their sleep they have done it so many times, but this is arguably the best Downey sculpt they have done to date. 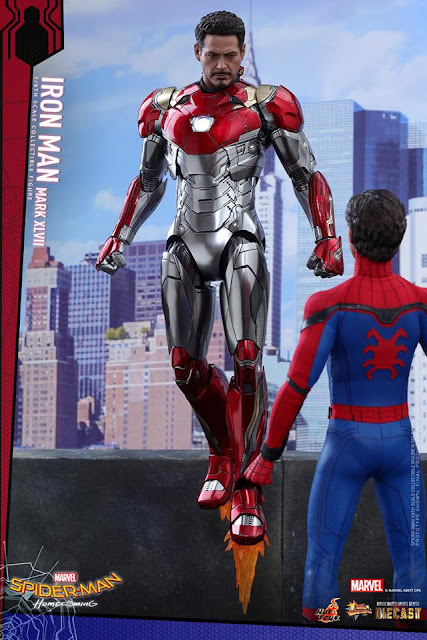 Aside from the silver in the Mark VLVII it is the little things that will have Iron Man collectors clamoring for this piece, such as the sunglasses or Iron Drone. 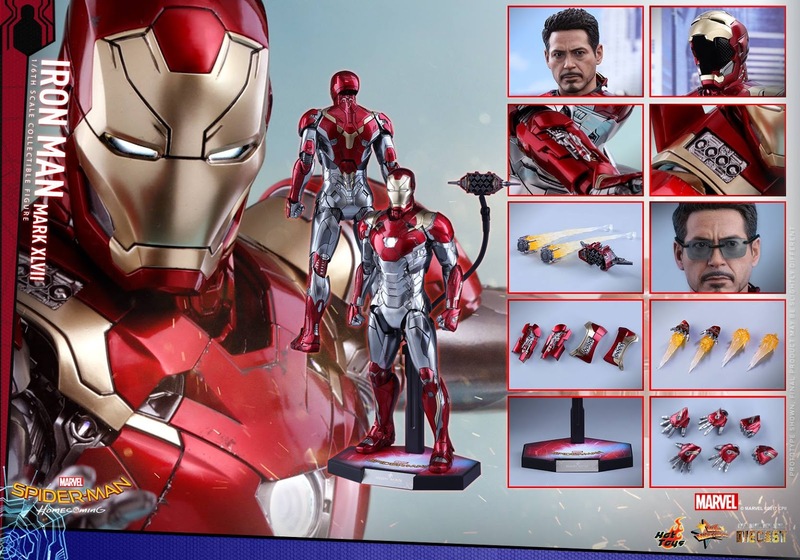 As much as I hate to admit it if you are a Marvel Hot Toys collector, this Iron Man is different enough that it justify a place in your collection, as well as on your credit card statement. Since this is a die-cast this figure will retail in the $300 range and should be up for pre-order today at Big Bad Toy Store and Side Show Collectibles. However I would not expect this figure to ship until the end of 2018.